Nowadays, gaming and online streaming is not just a hobby – for most, it has become a professional occupation. And if you want to please your audience with a good and high-quality sound – you need high-quality equipment. Today we will share our thoughts about the best microphones for video game streaming. The sound quality of the microphone is an integral part of this kind of activity. But the truth is that gamers and streamers do not need studio microphones, they just need something better than a retractable plastic microphone attached to your headset. Sound quality is very important, as well as ease of use, customizable parameters and price. 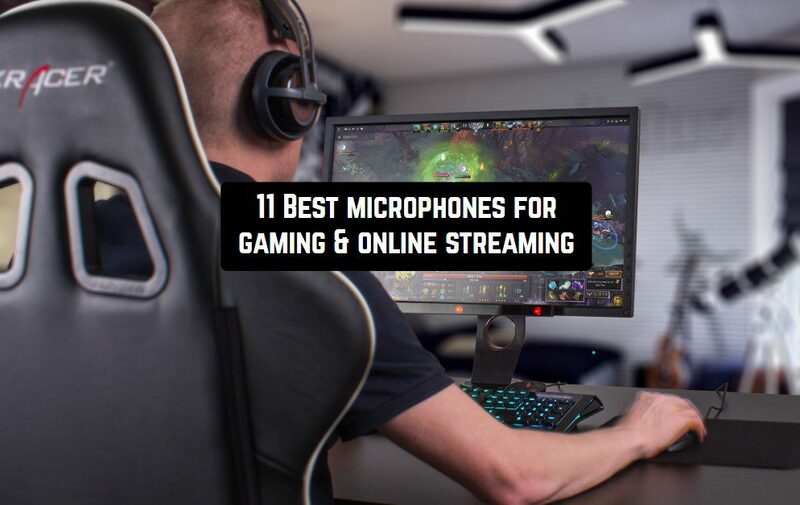 We looked not only at what kind of microphone will provide you with radio sound; we learned which microphones are really the best for streaming and playing with friends. There are many things to love about Blue Yeti: it is easy to set up, it has a low price compared to other microphones with the same sound quality and, of course, it sounds great. But its best feature for streaming is its sensitivity. The distance to the microphone and whether you talk directly into it or not can have a huge impact on the sound quality. The foam layer at the bottom of the support does not help much to muffle the vibrations from the table, but the shape and size of Yeti contributed to the fact that you can find a suitable place for it without hassle. Yeti will do its job fantastic, no matter where you put it. When you stream or play for a long time, the ability to deviate, move and rest is simply necessary. Here that Yeti eclipsed the other microphones. This does not mean that close to you Yeti sounds bad; on the contrary, it is almost always able to provide good sound quality, even without being put on the perfect place on your desktop. This is an incredibly important feature, considering that we are all different. You can definitely pay more to get a better sound quality, but Blue Yeti does everything a streamer needs or just a person playing with friends. If you are planning to deal with constant shaking or are going to install a microphone in a studio, then you may need to spend more money on your microphone. 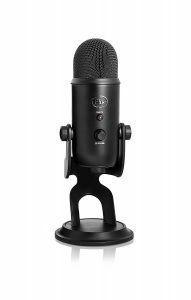 But Yeti sounds great for its price in any situation that a regular gamer or streamer has to face. Some of you may have a cluttered desktop. Making space for the microphone on the stand in such cases can be very difficult. Lavalier microphones come to the rescue, and AntLion ModMic is the best you’ve used. It is attached to the headset like a built-in headset microphone, but its sound quality is much better. In addition, it is incredibly easy to install. 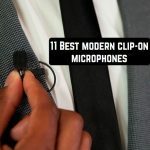 Most small headset microphones like ModMic do not have very clear sound, but this is due to the fact that they are usually part of the headphones. In such cases, the sound of the headphones takes precedence over the quality of the microphone, but ModMic has no such problem. This microphone was designed to be a good microphone and nothing more. And as a result, this is a really good microphone. Although it doesn’t sound as good as a microphone on a stand, like Blue Yeti, it probably sounds better than any other microphone attached to headphones. Unfortunately, it is located close to your mouth, which means that loud sighs and whistling sounds will cause noise and distortion. This problem is not specifically of ModMic, but of all microphones located close to the lips. Using a pop filter is the only way to fix it, but it does not help with a headset microphone. In all other respects, ModMic does an incredible job of muting the vast majority of background noise, including almost all keystrokes and keyboards. Another quality of ModMic is a fairly simple way of attaching to headphones. You attach a magnetic mount to the base of the headphones on an adhesive tape and then attach a microphone to it. 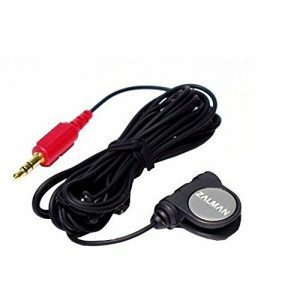 Using a magnet means that you can completely disconnect the microphone from the headphones at any time, leaving only a small black mount. 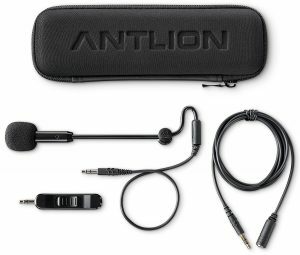 AntLion ModMic is more suitable for gaming voice chat than for streaming because here the sound quality and noise will not be so important. This is a fantastic high-quality microphone in terms of price and quality, and it can be especially useful if you have high-quality headphones, but you need a microphone. It’s not the best choice if you’re leading a podcast or live stream, but it’s the perfect microphone for your teammates to hear you perfectly. This is not a first-class microphone, but it is significantly better than the headset you are using now. Its value for money is so impressive that it definitely had to be mentioned in this list. It is necessary to clarify – there is a huge number of microphones with sound quality better than that of the ZM-Mic1. This microphone, of course, sounds great, but since it is fixed on the headphone wire, your voice will come out pretty quiet. The distance to the microphone implies that it should be more sensitive, and therefore it is easier to pick up background noise. But in the right place and with the right volume settings, the voice quality is impressive. There is no breathing noise and loud sounds that can be heard from the headset microphone. This is far from studio quality, but you can use this microphone to record a podcast. It would be inappropriate to compare it with the best options: this is not the most amazing microphone, but it is striking at its price. If you’re looking for a great microphone at a reasonable price, take a look at the Blue Yeti or AntLion ModMic described above. But if you just want something better than a built-in headset microphone, for the lowest price, Zalman ZM-Mic1 is the best choice. Usually, you need to spend more money to upgrade your microphone, but this is great quality for only a small price. You cannot talk about the stream and do not remember the Razer. The company manufactures gaming accessories from mice to microphones. On sale, they have both models of premium series and budget options. Razer Seiren X – the best middling. From the Seiren line, it has excellent value for money. The hinged base of the stand allows you to further adjust the tilt, so the streamer can find the optimal position for the best sound. It also has a special soft pad that absorbs the extra vibrations. Razer Seiren X is easy to manage, it has nothing superfluous – the volume control and the power button. The device is connected via a USB cable of 1.8 meters. It is encased in a sheath, therefore it will last longer than usual. This is a condenser microphone with CardioDay orientation, due to which extra sounds are absorbed and not perceived during the use. The operating frequency is from 20 Hz to 20 kHz. In the reviews, the owners especially note the depreciation system, which dampens a knock on the keyboard or the table, so the stream will not be overwhelmed with unnecessary sounds. It is important to consider when buying that the microphone foot is low, so it would be worthwhile to purchase an additional holder. It’s easy to make streaming professional; all you need is to buy Blue Microphones Spark Digital. It is suitable for recording streams as well as for vocals or instruments. For novice streamer, it is better to bypass this microphone side, but those who have long been in the profession, it is worth to look at it carefully. Every year, viewers are becoming more demanding, and even very little noise can lead them away from the channel or broadcast. Therefore, to avoid such problems, appropriate equipment is required, because, for example, during live broadcasts, there is no possibility to mount the sound. And what is this not a budget microphone capable of? It is a capacitor with a cardioid directivity. Refers to premium microphones. Its wiring diagram also belongs to A class, which confirms the premium quality. The peculiarity of the model is that the signal is clear and as detailed as possible. Therefore, during the broadcast, it is important to take care of the surrounding sounds. The microphone works in two modes: Focus (for maximum detail) and Normal (maximum sensitivity to low frequencies). Works with a frequency range from 20 Hz to 20 kHz. At the same time, it easily connects to any device via USB. Convenient and small – at first glance, not the best characteristics for the microphone, which should be streamed. But Samson Meteor Mic breaks the idea of traditional microphones: “for quality, a huge instrument is needed”. Any streamer starts with something, and it is Samson that is suitable for beginners. It costs not so much, high-quality and compact, so you can carry it with you wherever you go. Professional streamers rarely sit in one place, they constantly attend various meetings, master classes. Therefore, this microphone is a godsend: it does not take up much space, only a USB cable is needed, which connects to both a laptop and a tablet or phone. According to the type of condenser model, it works with a frequency of 20 Hz to 20 kHz. The diaphragm is 25 millimeters. 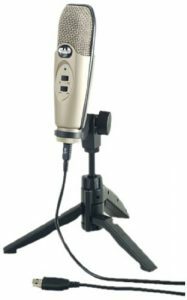 If you are a novice streamer, you travel a lot, and you need a budget and high-quality microphone, Samson Meteor Mic is waiting for you. There is a headphone jack to listen to your voice. 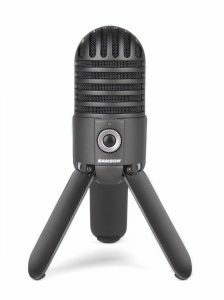 Users who have already tested this model, in their reviews, note that the sound level from it is much better than from ordinary cheap microphones. And the size of the device won lot of advantages. Real professional equipment. The Japanese Audio-Technica company is known for the quality and durability of its products. They are perfectly able to produce audio equipment. Audio-Technica AT2020USB is suitable even for professional bloggers and streamers. After it, the sound requires almost no additional processing. With this model, you can even record vocals. It connects the microphone elementary – just insert the USB-plug into the jack of a computer or laptop. It works with all systems, does not require additional software. The model has a wide frequency range from 20 Hz to 20 kHz. In its price category, it has almost no competitors. And given the quality in relation to the price, the microphone can be safely called relatively cheap. In the device itself there is a headphone jack: by connecting them, you can evaluate and track your voice and additional interference. It also has a volume control for optimal signal level and a mix control that allows you to adjust the balance between your own signal and the incoming signals. 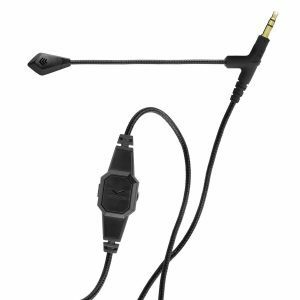 Audio-Technica AT2020USB – a combination of minimalism, the best features, and practicality in work. The high-quality microphone is a device that even a child can handle. This microphone does not require painstaking installations, you just need to connect it to a personal computer or Mac, as everything starts to work instantly. 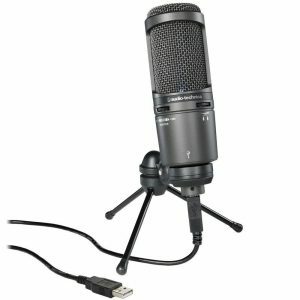 It is possible to use a microphone for recording streams and conducting online games. In all cases, you will receive the really high-quality material, which is equivalent to a studio recording. Thanks to this device, you can record sound that compares with studio quality, right at home on your personal computer. CAD U37 USB is also used as an instrumental or vocal microphone and in this case, the sound quality is also very high. The main advantages of the microphone are that only a USB port is required for connection, and no audio interfaces are required at all. By purchasing this device, you can be completely sure that all your recordings through this microphone will be of a quality assurance. The device is compatible with Macintosh and Windows operating systems. The CAD U37 USB microphone has many features that allow you to work almost anywhere, resulting in a high-quality recording. The device is able to eliminate all external sounds, which allows you not to waste your time looking for a quiet room. There is also a switch that allows you to remove distortion from loud sounds. 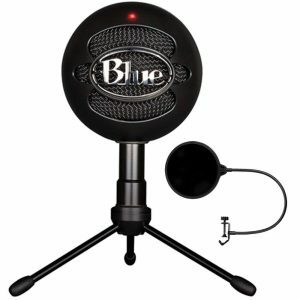 If you are looking for a good microphone for a reasonable price that looks great and unusual, pay attention to the Blue Snowball. The peculiarity of the microphone is that it is able to lower the level of sensitivity so that with a minimum volume to broadcast extraneous noise that surrounds you. It should be noted- the microphone is not very suitable for professional work or for sounding videos, but it is quite enough to transmit your speech in the game, besides, it received an official certificate of quality Discord. 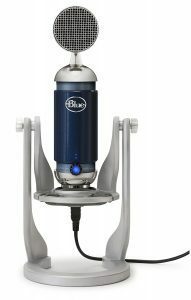 Blue Snowball is a basic microphone, if you need a better sound – pay attention to the famous Blue Yeti microphone. However, those who have been using Snowball for a long time say that it does an excellent job with its task. Removable microphone V-Moda BoomPro Mic is perfect for those whose headphones have a removable cable. This microphone is an intermediary between the sound source and headphones. It connects to a 3.5 mm headphone jack and is itself a cable that connects to the sound source. If you’re lucky, you have headphones with a removable cable – we recommend to pay attention to the V-Moda BoomPro Mic. The quality of speech transmission is good, the voice does not distort, background noise is minimized. And the mic not expensive. But if your headphones do not have a removable cable, this microphone will not work. 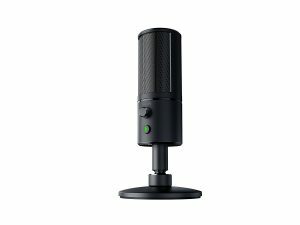 The Turtle Beach Stream Mic is your assistant in the recording. With it, you will stop thinking about poor sound quality and worry about external noise and interference. This microphone can record vocals, guitar parts, interviews, streams, tweaks, and so on. The pop filter will eliminate extra high and low frequencies. The highlight of the microphone is the easy connection. In order to start recording sound, all you need is to connect the microphone to your computer. You do not need to install drivers. Although Turtle Beach Stream Mic is a budget microphone, it has a rich technical background. It has a powerful capacitor cap and a 16-bit analog-digital converter with a sampling frequency of up to 48 kHz. Thanks to these characteristics, the microphone is guaranteed to record pure sound. Turtle Beach Stream Mic has a very rich equipment. In the box, you will find USB cable, rack and pop filter. 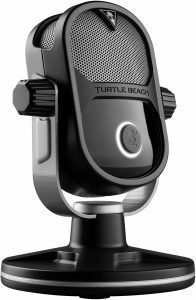 Sound recording with Turtle Beach Stream Mic is a simple and enjoyable experience! Now gamers have become very active in assaulting such platforms as Twitch, YouTube and other streaming services. This is a very popular activity – you play, broadcast this process on the Internet; it is possible to communicate with people through questions in the chat and thereby develop as a blogger, expand the audience. And for streaming, and just for a normal game in the company, sometimes a better microphone than the headset is required. Here come to the aid of microphones from our list. Then microphones from our list come to the rescue. 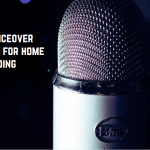 Do you need to spend a lot of money on a microphone for streaming? If you plan to make a career and make money on streams or record video in games, then you need to have good equipment to create high-quality content. One of the most important elements is your microphone. Viewers want to hear a streamer or video blogger, without increasing the volume and not trying to decipher the words between the noises and hisses. If your viewers face these problems, they can immediately leave your channel and never enter it. To avoid this problem, you need to purchase a good microphone for streaming. A good microphone gives you the opportunity to play games or chat with fans directly, without worrying that your viewers will complain about poor sound quality.